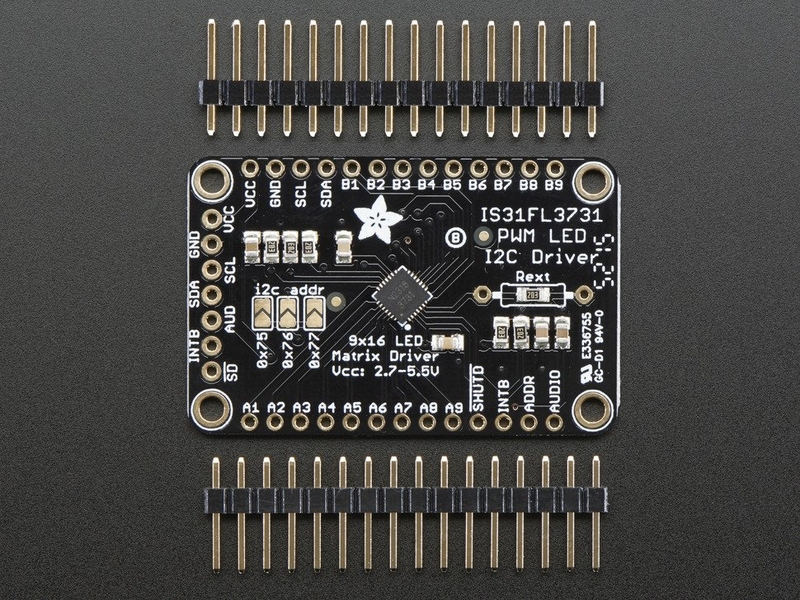 The IS31FL3731 will let you get back to that classic LED matrix look, with a nice upgrade! 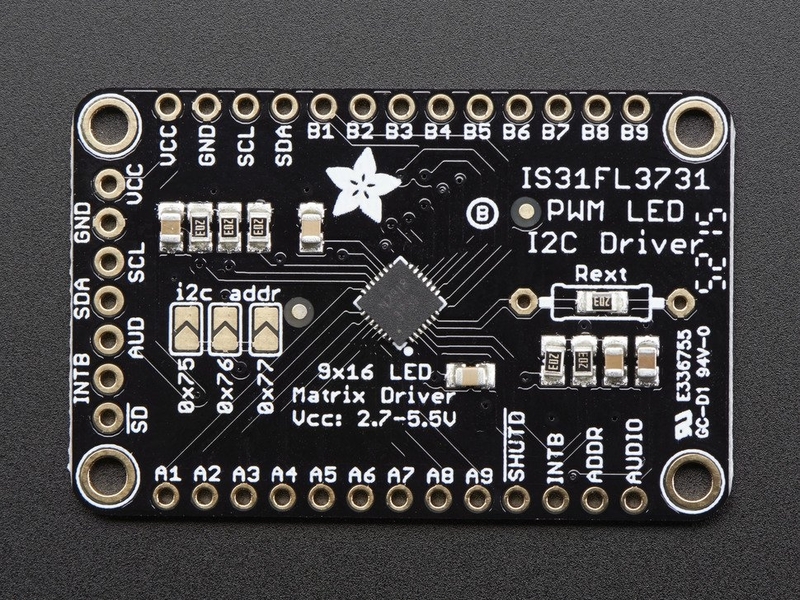 This I2C LED driver chip has the ability to PWM each individual LED in a 16x9 grid so you can have beautiful LED lighting effects, without a lot of pin twiddling. Simply tell the chip which LED on the grid you want lit, and what brightness and it's all taken care of for you. 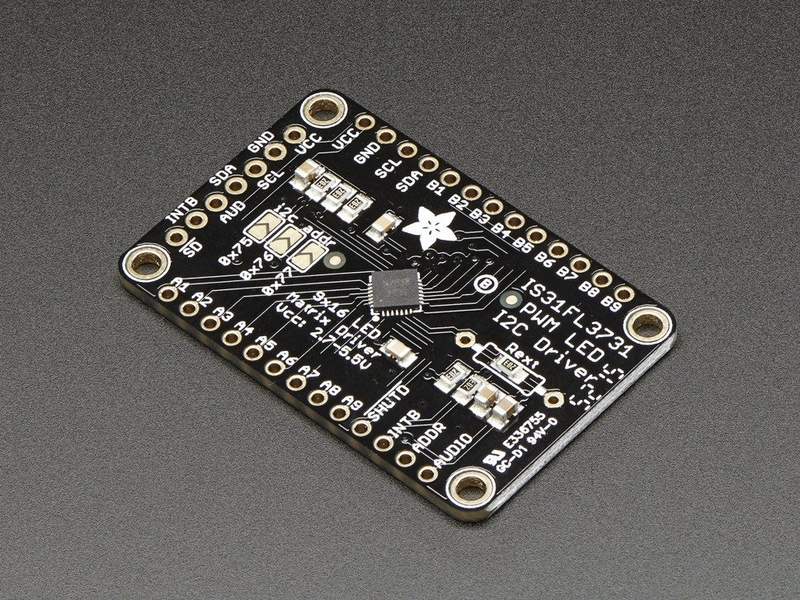 The IS31FL3731 is a nice little chip - it can use 2.7-5.5V power and logic so its flexible for use with any microcontroller. You can set the address so up to 4 matrices can share an I2C bus. Inside is enough RAM for 8 seperate frames of display memory so you can set up multiple frames of an animation and flip them to be displayed with a single command. 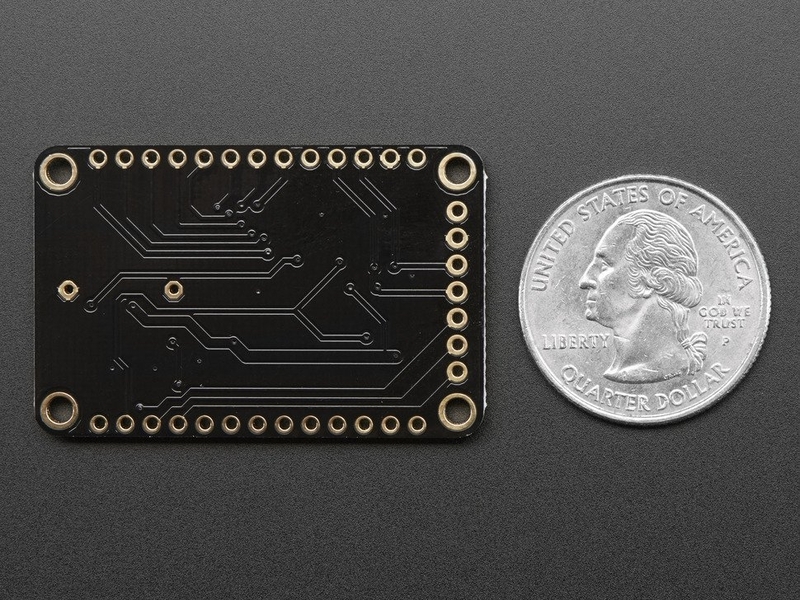 This chip is great for making small LED displays, and we even designed the breakout to match up with our ready-to-go LED grids in red, yellow, green, blue and white. Sandwich the driver and matrix breakout, solder together for a compact setup. Or you can DIY your own setup, just follow the LED grid schematic in the IS31FL3731 datasheet. Please note this does not come with any LEDs, you can pick up a matching LED matrix from us or DIY your own. Check out our detailed tutorial for pinouts, assembly, wiring, and more! 43.3mm x 27.9mm x 2.4mm / 1.7" x 1.1" x 0.09"